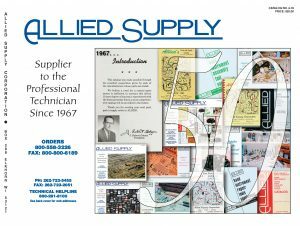 The updated 2018 Allied Supply catalog and 2018 price list are in the mail as of last week. We have reports that some are landing in mailboxes! If you do not receive your catalog and price book (or receive one and not the other) within the next four weeks please let us know and we will send one with your next order. The online version of the catalog is not quite ready to go but you should see that within the next week or so.